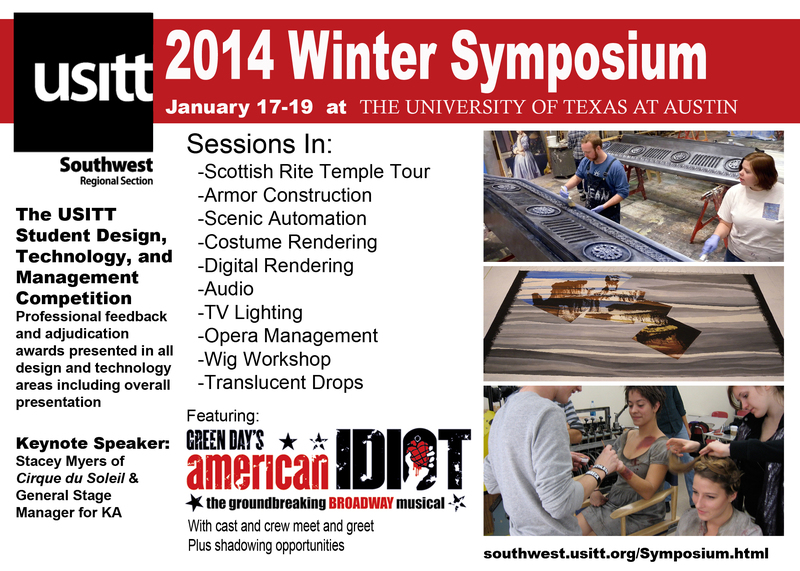 USITT Winter Symposium will be January 17th-19th. The 2014 USITT Conference & Stage Expo will be held in Ft. Worth this year. Member registration is cheaper than non-member registration. USITT membership cost for an individual is $108, $162 for a professional. 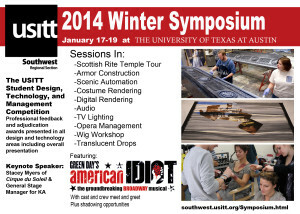 If you can or are able attend any of the Winter Symposium here, the $60 registration fee is a substantial discount.